A delightful apartment, spacious and homely. A delightful apartment, spacious and homely, with fantastic views, set in the grounds of a 16th Century house in rural North Wales. An idyllic retreat, combining period features, with all the modern conveniences of life today. Choose to either have a magnificent super king size bed, or two single beds, with crisp white bed linen and fluffy towels included. A great place to escape and relax and unwind. Our family purchased this fabulous old racing stables in 2002, and embarked on a renovation project lasting 2 years. The apartment is located in the end wing of the main house. I look after the two holiday cottages, and we also run a livery stables from Plymouth Copse. We have s small flock of sheep, lovely if you come during lambing, you can help feed the lambs. We also have 12 acre wood here which we are in the process of turning into a nature reserve. This apartment is ideal for a rural retreat, to relax and unwind from the stresses of modern day living. It is ideally situated for walking and sightseeing, there are also the shopping centres of Chester and Llandudno for a spot of retail therapy. North East Wales is known locally as the garden of North Wales. If you want to sight see, visit castles, walk on sandy beaches, in glorious country side or up mountains, enjoy some high adrenaline pursuits or just relax this is the place to do it. We are idealy situated approximatley 3 miles off the 55 North Wales coast road with excellent links to Snowdonia, Anglesea and East into Chester or Liverpool. The Apartment is located within a rural country house, surrounded by farmland and mature gardens and a 12 acre wood. Historic surroundings with olde world charm, but with all the modern conveniences. The apartment has a large bathroom with bath, separate corner shower, toilet and hand wash basin. A lovely marble fire place housing a real log fire. The first basket of logs and kindling are complimentary, extra supplies can be purchase on site. 2 large shelves and a salad drawer, 2 door shelves. An ice box. Available in Conway Water Sport Centre. The nearest golf course is currently Caerwys which is a 5 minute drive away. This holiday cottage will be a firm favourite when visiting North Wales. We loved the visiting Peacock and Dottie. We were extremely happy in this lovely cottage. It is beautifully furnished and very well equipped. The superking bed is wonderfully comfortable. It is really peaceful and quiet - perhaps not a cottage for someone looking to be near a town or seeking the high life as the nearest small village is a good distance away. It is very well situated to visit the North Wales coastal towns and we were also able to visit Chester and Liverpool. It was lovely to have Pepe the Peacock sit beside us on the patio. Jane is an extremely pleasant host and nothing was too much trouble for her. We would certainly recommend Miller's Retreat and would not hesitate to visit again. We stayed a week in July and had the most wonderful homey stay here. The house was beautiful, bed super comfy, with great shower and bath down the hall. The kitchen was the most well equipped we have ever had and we have traveled a LOT! A bit difficult to find out in the country but a quick phone call to our host who came immediately for us to follow up to the house. Jane was super responsive whenever we texted or phoned and we loved chatting with her. There is a friendly gorgeous peacock who visits often and the 2 horses in the field are precious. Fantastic place to chill out and catch up on reading.The town of Holywell was only about 15 min drive away with a large Tesco and Lidl for groceries. Wifi was spotty which was the only inconvenience for us as we use it for researching new accomodations and info on sites to see for our future itinerary as we are traveling for about 4 months through the UK. Every aspect of our accommodation, from booking to arrival to check out made us feel welcome and comfortable. This is a beautiful cottage, tucked away in the Welsh countryside; it was a lot larger than I expected and would have happily spent a lot longer there. A huge hallway opens into a large living area, spacious bedroom and huge bathroom. We didn't use the kitchen as much as we had planned (because the glorious weather meant we were out all day) but it was modern and clean with a small decked area to eat breakfast outside. The fresh milk and biscuits were a much appreciated gift when we arrived. We easily found the cottage (with the help of written instructions - rather than the satnav) but we were still very close to the motorway to head into Wales or travel over to Chester or Liverpool. 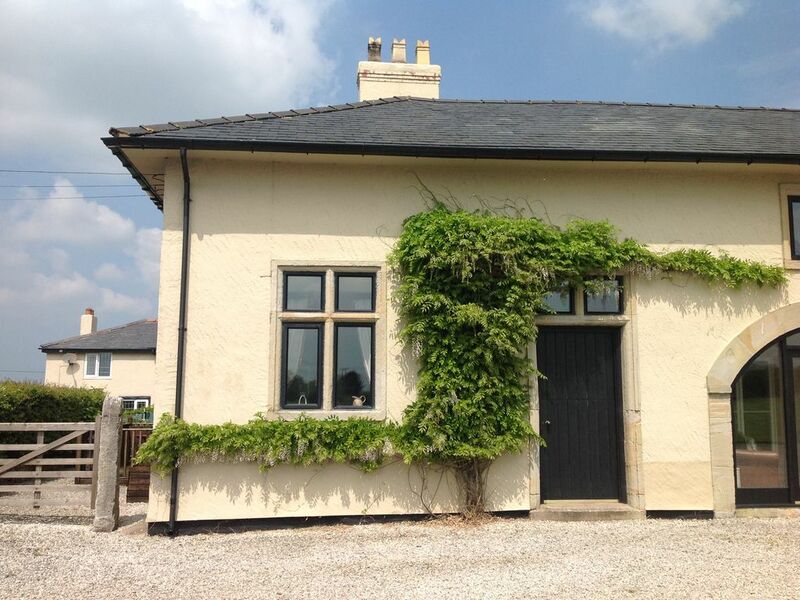 I would happily recommend this cottage to anyone looking for a quiet break, a perfect base in North Wales or anyone that wants to visit a new area in the UK. Thank you so much for taking the time to write a review regarding your stay with us, we are very happy that you enjoyed your visit, thank you for your lovely review. This villa is in a quiet part of Playa Blanca, about 1 mile away from the main area, so a nice walk or a 3 euro taxi ride. The villa is excellent if you just want to relax and recharge your batteries, with the only disturbance being the occasional "zumba" class in the nearby holiday centre. The villa is large enough for a family, with a very generous outside area around the pool, complete with a large barbecue, so much so, that you can easily have your own space. On arrival, there is a thoughtful welcome pack, which was well received by the other half, so a great start to the stay. We had a few issues with the TV, but this was due to a changeover of provider on the weekend of our arrival, so was all sorted by the the middle of the week. I would highly recommend staying here and will look to do so again myself next year. Thank you Jane, for allowing us to stay in your wonderful villa. We've just returned from a 2 week relaxing holiday - and loved it! The villa was decorated lovely throughout (carefully thought out furniture and we love the artwork prints!) and it was an incredibly comfortable villa too. The outside space for seating and shade were fantastic; the couch and positioning for the great TV package were perfect; good sunloungers; good BBQ area (although we didn't use it this time); we even found the bed comfortable! There's plenty of room in the villa, but only being two of us, neither did we find it too big for only a single couple. Jane has really made the villa feel very comfortable and welcoming - we relaxed straight away and enjoyed our holiday immensely. The layout of the villa is particularly good with the master suite to the rear of the property - we loved opening the bedroom doors onto the patio each morning, letting the breeze cool us and watch the sunrise over the mountains. Thank you to the management team too - the villa was very clean when we arrived and we wouldn't hesitate in staying in another villa managed by them. In particular, the pool guy was lovely, with a wealth of information about the area and so helpful and friendly - thank you. I understand Jane has sold the villa, which is very sad as we would have jumped at the chance of returning and would have recommended it to others. We did have a wonderful time though and thank you for allowing us to stay at Casa Tomaia.